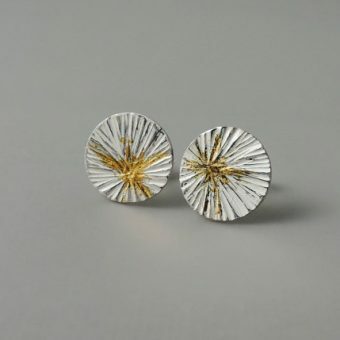 An elegant and unique pair of mixed metal earrings. Made of sterling silver and 24k gold. 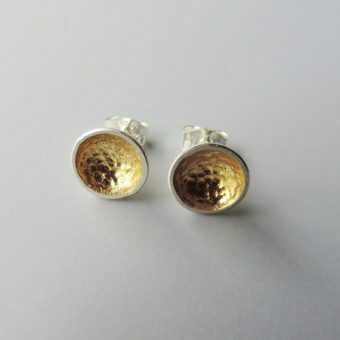 Finished in your choice of dark patina or sterling silver. 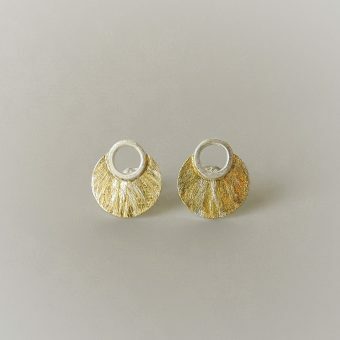 A simple and elegant pair of earrings perfect for everyday wear. 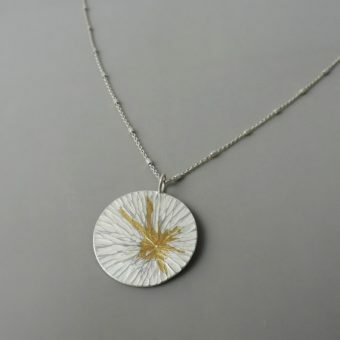 Sterling silver discs that have been domed and finished with a 24k gold border. 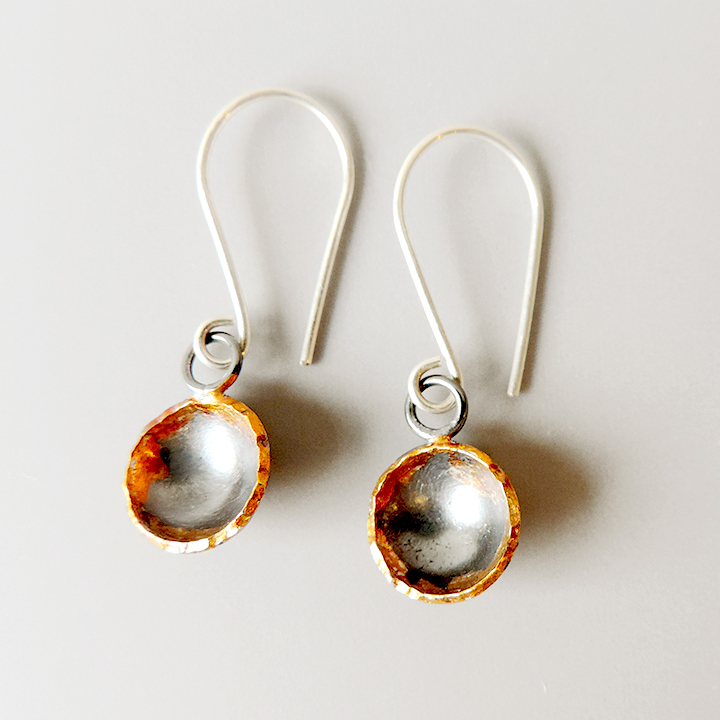 Finished in your choice of dark patina or sterling silver.